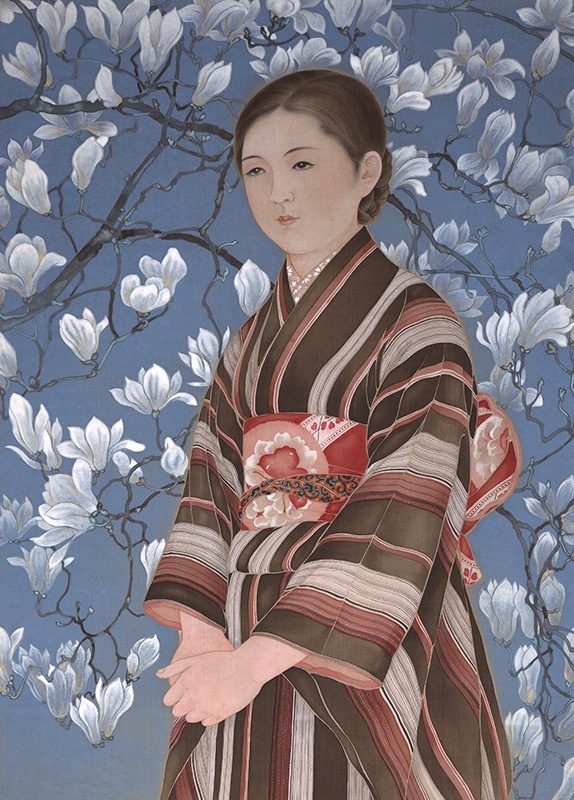 Chiura Obata, Maiden of Northern Japan (detail). 1931. Mineral pigments on silk, 46 1/2 x 19 3/8 in. Crocker Art Museum, gift of the Obata Family, 2008.24. Born in Okayama, Japan, Chiura Obata (小圃千浦, 1885–1975) emigrated to the United States in 1903 and embarked on a seven-decade career that saw the enactment of anti-immigration laws and the mass incarceration of Japanese Americans during World War II. He nevertheless emerged as a leading figure in the Northern California art scene and as an influential educator, teaching at the University of California, Berkeley, for nearly twenty years and acting as founding director of art schools in two of the internment camps. This exhibition offers an unprecedented survey of Obata’s rich and varied body of work and includes over 100 paintings, drawings, prints, and personal items—many of which have never been on public display. They range from the artist’s early formal studies as a student in Japan to the California landscapes for which he is most recognized. Chiura Obata: An American Modern is organized by the Art, Design & Architecture Museum at the University of California, Santa Barbara, with generous support provided by the Terra Foundation for American Art. Read more in our blog, The Oculus, HERE.